Montre Hartage defends a pass. The junior cornerback has been a consistent starter for a Northwestern defense that has struggled against the pass statistically. Lost in the shuffle during Northwestern’s three-game winning streak has been an unexpected defensive vulnerability against the pass. With a solid secondary that returned almost every contributor from a season ago, the Wildcats’ defense was expected to be hard to attack through the air, if nothing else. Instead, the unit has ceded 271 passing yards per game, ranking 120th in the country. This weekend, NU (5-3, 3-2 Big Ten) travels to Nebraska (4-4, 3-2) to face a Cornhuskers squad whose quarterback, Tanner Lee, is coming off a 431-yard day in a come-from-behind victory over Purdue. A confident Nebraska passing attack could take advantage of the same holes in the Cats’ defense exposed by Michigan State quarterback Brian Lewerke a week ago. Lewerke tossed for 445 yards and four touchdowns, numbers inflated by three overtimes but buoyed by a slew of converted deep shots. 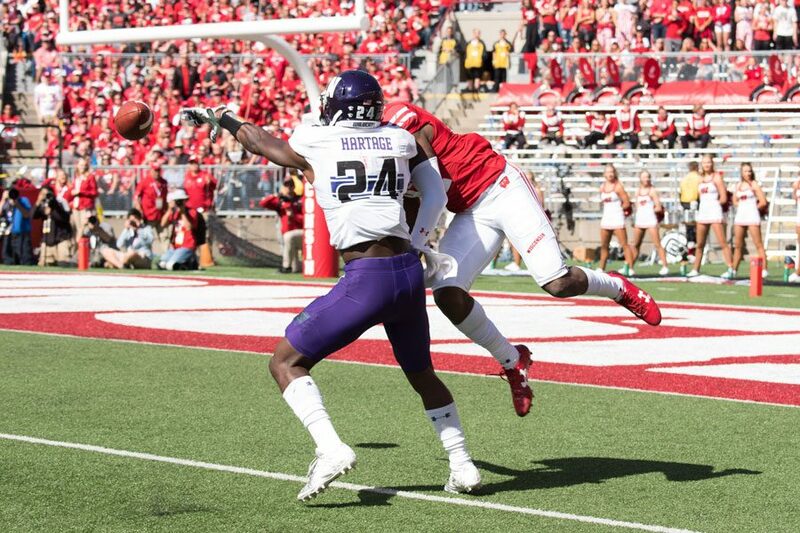 Big plays have been a nagging problem for NU throughout the season, with opponents from mighty Penn State and Wisconsin to humble Maryland picking up huge chunks through the air. Defensive coordinator Mike Hankwitz said correcting mistakes from those chunk plays remains a point of emphasis for his unit. If Hankwitz and NU’s defense can’t limit those mistakes, the Cats could face trouble in Lincoln on Saturday. Lee hasn’t been perfect this season — he’s completed just 57 percent of his passes with 10 interceptions in eight games — but he’s proven capable of getting the ball to a talented stable of weapons. Fitzgerald praised Nebraska receivers Stanley Morgan, Jr., and De’Mornay Pierson-El this week, who are both averaging nearly 10 yards per target. The Cats could do themselves a favor by putting pressure on Lee, but that might be a dicey proposition, as the Cornhuskers have allowed just 12 sacks on the year. Meanwhile, the defense will have to deal with a Nebraska offense that can test them schematically and create big plays through miscommunications. “All right” could be good enough from NU’s pass defense, as Nebraska’s run game and overall play has been largely uninspired in 2017. A solid showing in coverage will take the Cats a long way toward a sixth win, which would guarantee bowl eligibility. Still, faced with an opponent whose strength overlaps with an NU weakness, Fitzgerald said his squad anticipates another hard-fought game.